She received her Bachelor of Arts degree in Psychology with a minor in Spanish from New York University and has held various positions throughout her working career. Her focus has been on loving service, whether she was employed as a children’s gym instructor, physical therapy aide, office manager or in her positions at Habitat for Humanity. In 2014 she began working as an Activities Assistant for seniors with dementia and Alzheimer’s disease. Interested in the mind-body-spirit connection and service, Wendy studied Nutrition and Religion while at NYU and Hypnotherapy after graduation. In 1994, she became certified as an Aerobic Instructor through the Aerobics and Fitness Association of America (AFAA) and later earned Personal Training, Fitness Counselor, Weight Room and Step certifications as well. 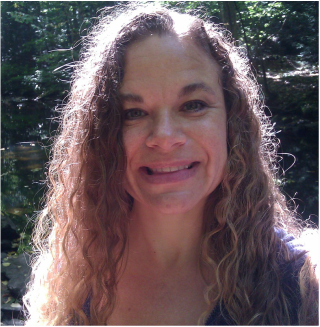 In addition, finalizing training that began in 1999, Wendy received Reiki Mastership in 2006. Also in 2006, her regular attendance in spiritual services and classes inspired the creation of her guided active meditation, now presented as Being In Motion Meditation. In 2011 she became a Certified Laughter Yoga Leader, because laughter is so beneficial and because since she was a child her laugh has inspired others to laugh as well; increasing their joy and their freedom of expression. She is honored to assist in sacred transitional moments creating the perfect ceremony or ritual; be it a wedding, naming ceremony, rite of passage, memorial service, or other occasion. You can email her at WendyAnn@LivingEnlightened.com and her website, www.LivingEnlightened.com, details more information regarding what she offers to her clients.